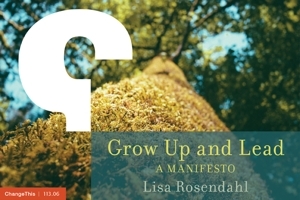 Lisa Rosendahl — When Do You Lay Your Cards on the Table? When Do You Lay Your Cards on the Table? You are working through an issue. It could be an employee conduct issue, labor negotiations issue, EEO filing, etc. It involves you working with another person, with a different agenda, to bring closure. Closure involves agreement, concurrence, collaborative settlement. Basically, if a mutually agreeable solution is not reached, it goes formal and becomes, by design, positional and adversarial. Neither party wants to go there. A third party is involved. The third party is experienced, holds the cards as the arbitrator/gatekeeper/integrity of the action and while she holds a neutral position, the position of the person herself is not clear. She lives and breathes this process of which you are a relative newcomer. Says she is a straightshooter, reputation tends to support that. Phone call received, game has begun. Is it a good faith game or not? You clearly do not have the advantage and really are not sure. What are you sure of? You are crystal clear that you are less experienced (by a long shot) and even though you researched and consulted and reviewed everything you could find, you don't know the unwritten rules of the game. Because of your research, you know that you do have options that have yet to be spoken but that you have the weaker hand. You know that in good faith is the only way you will play. Options, settlements, opinions are discussed. You are asked what you think about them. One sounds pretty darn good for you and it appears to you that she obviously doesn't know what you know. Heck, if she did, she sure wouldn't be suggesting this! This seems too good to be true! Although this is the first time you are speaking with this person, you will speak with her again, and again, in your tenure in other issues - guaranteed. What do you do? What is the best approach to take? Do you hold your cards close? Do you take her at her word that you are working with a straightshooter and lay your cards on the table? Do you hedge, deny, delay, or remain neutral to test her out? How do you know that she is not testing you?